Whether you tripped on the field or didn’t stretch properly before a run, sports injuries can occur for a variety of reasons, and in the blink of an eye. At the Colorado Center of Orthopaedic Excellence Urgent Care & Sports Medicine Clinic, Dr. Jarrod Harrall offers personalized care including evaluation and treatment services to professional, amateur, and recreational athletes of all ages and abilities. His goal is to help decrease your pain and improve function, so that you can safely get back to your activities as quickly as possible. Our comprehensive treatment and rehabilitation plans focus on getting you healthy so you can perform at your best again. While athletes certainly benefit from the services of a sports medicine physician, so too do non-athletes. A primary care sports medicine specialist like Dr. Harrall provides care to any individual who wants to become active and get healthy through lifestyle changes. He can recommend a safe exercise routine and offer nutritional advice, as well. 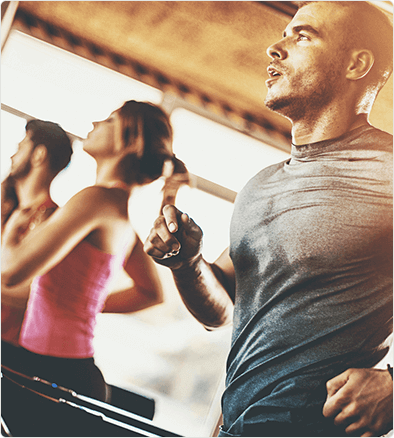 For weekend warriors or fitness enthusiasts who sustain an injury, Dr. Harrall can help relieve your pain and restore your function. A sports medicine physician like Dr. Harrall has received significant training in both the treatment and prevention of illness and injury. He can help you maximize your function and minimize time spent away from sports, work, or school. Dr. Harrall uses the least-invasive techniques whenever possible to treat sports injuries. Learn about the conservative treatments we offer below. Many athletes are highly susceptible to concussions, especially those in contact sports such as football, soccer, ice hockey, and lacrosse. The initial evaluation of any injury, including concussion, is often left to the coach. Unfortunately, most individuals coaching high school and youth sports rarely receive any type of formal training in concussion management. At the Colorado Center of Orthopaedic Excellence, we offer one of the few active concussion management program in southern Colorado. Led by Dr. Jarrod Harrall, we work with coaches and athletic trainers to implement a concussion policy, concussion training and education, and annual baseline testing in schools for all athletes. The main goal is to prevent concussions while also providing better care for athletes when they do occur. Baseline testing is a series of tests done before the sports season starts. It measures areas of brain function, such as cognitive and behavioral skills, that can be impacted by a concussion. Comprehensive baseline testing can provide physicians with important information should an athlete experience a concussion. If an athlete suffers a concussion, he or she will undergo repeat testing, which will be compared to the baseline test. If the results of the post-concussion test show significant impairment, Dr. Harrall will share the results with the athlete’s coaches and trainers and develop a return-to-play protocol. We can help the athlete recover safely and as quickly as possible by advising them as to activities that can worsen or prolong concussion symptoms, and we can prevent re-injury by following a strict return-to-play protocol, slowly and gradually reintroducing the athlete to physical activity and competition. Our testing and active concussion management process ensures that the athletes who need our help receive best in-class care, allowing them to safely return to their respective sport following a concussion. After an injury, one effective way to restore function and movement to the afflicted area is through physical therapy. We provide you with hands-on rehabilitation that is tailored to your individual needs. Physical therapy may also help you avoid surgery. Our therapists get you back in the game with both basic and advanced techniques. Your treatment plan may include strength training and flexibility exercises, manual therapy techniques, ultrasound and electrical stimulation, heat and cold therapy, and other modalities. Dr. Harrall works closely with our rehabilitation team, helping you regain complete functionality and mobility so you can return to the field or court as soon as possible. Dr. Harrall performs joint injections and aspiration for a variety of conditions including swollen joints and osteoarthritis. He uses ultrasound to help deliver targeted treatment directly to the site of pain, improving the precision, safety, and effectiveness of the injection procedure. Viscosupplementation is a treatment option for those with arthritis of the knee. It is administered through a series of injections into the joint. A solution of hyaluronic acid (a naturally occurring substance in healthy joint fluid) is injected directly into the knee joint to restore the cushioning and lubricating properties of normal joint fluid. The typical patient who would consider viscosupplementation has knee arthritis and has failed or had limited improvement with non-steroidal anti-inflammatory medications, analgesics, and physical therapy. It may be considered in those who are trying to delay or are simply not candidates for a knee replacement surgery. We offer in-house braces and splints for a number of injuries and overuse conditions. You will leave our office with a properly fitting and appropriate brace or splint for your musculoskeletal condition. Have you been suffering from tendonitis for months on end? If you've tried rest, physical therapy, anti-inflammatories, or cortisone injections with no success, Dr. Harrall offers a solution that does not involve surgery and may help reduce your pain. After making a tiny incision over the affected tendon, Dr. Harrall uses ultrasound guidance to insert the TX MicroTip at the exact location of pain. The tip emits ultrasonic energy, which breaks down damaged, painful scar tissue without disturbing the surrounding healthy tendon tissue. By removing the unhealthy scar tissue, new and healthier tissue can grow, restoring your natural tendon function. Metagenics® is a line of supplements that may help ease arthritis and acute or chronic inflammation; provide tendon and ligament support; augment nutrition for an upcoming procedure; and maximize post-procedure nutrition. Browse our Metagenics store to see all available products for muscle, bone, and joint health; sports nutrition; general wellness; and more. Procedures such as platelet-rich plasma (PRP) therapy and stem cell therapy can help stimulate a healing process in the body and decrease pain. Learn more about regenerative medicine. Colorado Center of Orthopaedic Excellence offers several programs aimed at helping athletes improve their performance. Call us today to learn more. Movement analysis is used to determine an individual’s risk for injury and limiting factors utilizing the Y-Balance Test and Functional Movement Screen. Objective data is collected through this screening process and an individual is categorized based on age, gender, and sport. These tests, along with closed chain dorsiflexion, isokinetic, and hop testing, may be used as physician criteria for return to play clearance. This program is designed to bridge the gap between physical therapy and return to activity. It will prepare an individual to meet physician criteria for returning to full sports participation. Clients will work with a coach individually to develop a customized training plan. They will train with that coach in a dedicated session. Clients will work with a coach to develop a customized training plan. They will train in a small group environment. Clients will work with a coach to develop a customized training plan to be performed on their own. This program is app-based and allows for more flexibility in scheduling.